Hello Space Cadets, how is everyone doing? I’m doing great, but I wanted to take a day to write a more serious post about the reason for internet caution. Specifically, I wanted to talk about the confusing realm of copyright law and how it applies to the images we use on our blogs. Disclaimer: I’m not a lawyer; I didn’t go to law school; I don’t even play a lawyer on television. Disclaimers aside, I did complete a bachelor’s degree and part of a masters before I suffered my TBI after playing around in Iraq. As a trained historian, I was taught the basics of plagiarism. I would never copy the writings of another author, or steal their research and/or intellectual property. It’s wrong, and would violate the core of my strongly held beliefs about right and wrong. It goes beyond just schooling. I was raised with this moral compass and it was reinforced by the Army. There, I lived by a code that prohibited lying, cheating, and stealing. I was further indoctrinated into this by my years spent attending a military college with the mantra, “A cadet will not lie, cheat, or steal, nor tolerate those who do.” Harsh perhaps, but it’s how I choose to live my life. Why do I mention all of this? Recently, it was brought to my attention that I haven’t been careful with the visual mediums on my blog page. I displayed pictures I didn’t own, or have the rights to use on my blog. I was mortified, petrified even. Also, I was ashamed. If you’ve been following my page, you likely remember the post where I mentioned it. Afterwards, I went through my blog and sanitized it (military speak for removing all potentially incriminating information). I took down all the pictures I didn’t have the rights to use and replaced them with pictures from the creative commons that are free to use. I find them from Google using an advanced search, and indicate where they came from with a tag at the end of my post. You’ll see that I go out of my way to credit the specific source AND to direct traffic their way. This should, in my meager understanding, help shield me from the claim of damages under my theory that I am providing free advertising. I don’t know if this is good enough for a lawyer, but I’ve done the best I could. 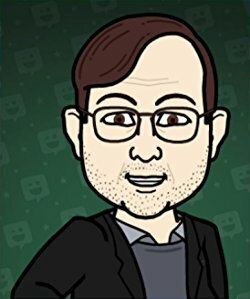 If you want further help, my friend Corey has given these helpful links. His first helpful hint was the Electronic Frontier Foundation who posted this Legal Guide for Bloggers as a resource for those trying to be above board on their site. His final resource recommendation was the GCF LearnFree.org group who posted an article about Copyright and Fair Use. What does this mean to you? It’s a cautionary tale. I would suggest you verify what you are putting on your page like I have. You might be a small fry right now, and you might be a best seller, but the potential for being sued is real. It becomes more real the second you start advertising your name and your books on your page. The second you monetize your blog it becomes commercial. If this is you, then it matters. These are the ones likely to get sued, so don’t be that guy/gal! Now, not everyone is a qualified artist capable of rendering their own art. How do you find your own art? First, if you own a camera and can take your own pictures, those are yours. You own them. Even a photo of another piece of art is yours to use. You can get a cheap, or free, photo editing program and watch some YouTube videos on how to use it. 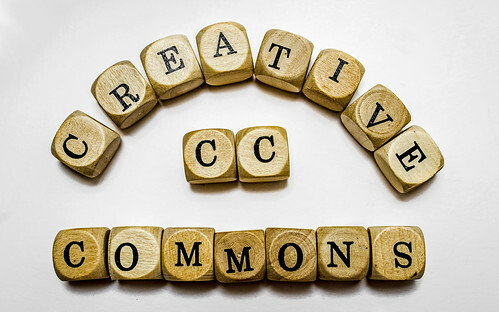 You can search images in the Creative Commons, just indicate that they are such. Or you could use the Google search feature like I do that does the same thing. You could also hire an artist/graphic designer directly, though, it could get costly. If you do this I would recommend having art generated that you can use repeatedly for many posts. And finally, you could source it from a site like Shutterstock that lets you buy rights to use various finished stock art pieces. Just be careful you buy the rights you need. Some of the lesser prices are for art you can’t monetize. If you ever dream of selling art from your blog on coffee mugs, then you better be able to monetize it. A final word of caution, I’m not a legal scholar so this is just one neophyte helping a Brother/Sister Noob in the “Ways of the Copyright.” If you need specific help, I suggest you find an attorney specializing in Copyright Law. Like I said, that aint me! —> As usual, the two images I used today can be found under Google’s “labeled for reuse” section. –> As usual, all images are found under Google’s “labeled for reuse” section. –> Authors Note: These images were taken by J.R. Handley and are owned by him. Anyone wishing to use them may do so, provided proper citation is used. –> This image was found on the hilarious iFunny website, under the search word #infantry. Go on over and check out those comic geniuses!! –> The artwork from today is original content created by Corey at the Quintessential Editor. –> As usual, this picture was found on Google and is labeled for reuse. It was posted by The Blue Diamond Gallery, go on down and check them out. –> The artwork in question belongs to Davis Ashura and is being used under the Fair Use Doctrine.